The winning team from St Martin’s School. 20 students from St Martin’s School, Essex and 15 students from Riverston School, Greenwich visited the School of Electronic Engineering and Computer Science (EECS) last week to participate in IT Counts, an event which aims to positively change how computing is taught at secondary schools and to inspire students to consider careers in technology. During the day, the school students attended a mini lecture about how businesses and organisations use social media platforms to collect data, make decisions and engage audiences. Students also took part in a group activity where they were asked to design a social media campaign for someone in public life (e.g. an artist, a politician, a sportsperson). In their design they had to consider the technical affordances and characteristics of different social media platforms and how could these be used to engage various communities of users. Presentations were judged by current EECS undergraduate students. 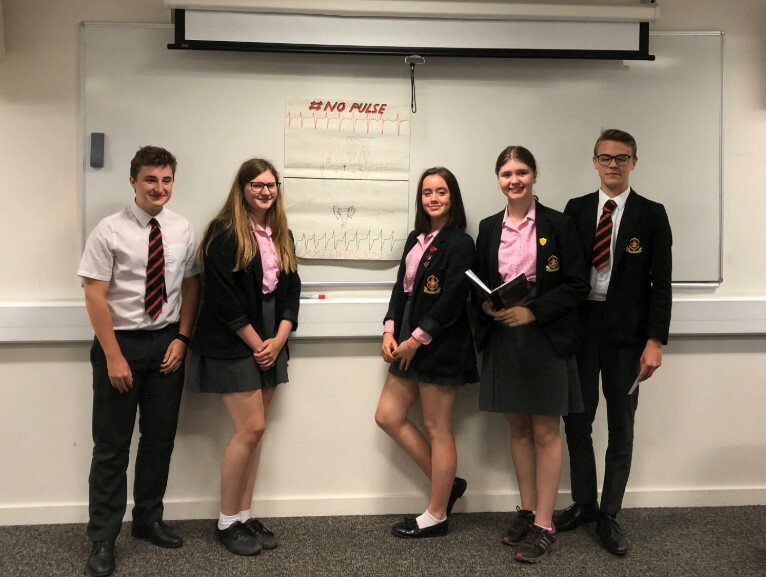 The winning team from St Martin’s School (photo) designed a social media campaign to commemorate the recently deceased rapper XXXTentacion. Their campaign considered the effects of various dimensions - race, domestic violence, artistic aspects - and ways in which these could be mediated through the technical affordances and design features of different social networking platforms. One student said about the day, 'I have learnt a lot about the many branches of jobs in Computer Science' and another commented, ‘I have learnt how to work with others and to think about how social media can be utilised for a business’. The event was organised by Dr Antonios Kaniadakis, lecturer at EECS, and current Computer Science with Management (ITMB) and Software Engineering for Business students - Saniya Puri, Bassem Boulfarkat, and Mohammod Atiqul Amin.